Fall is a great time to update your bedroom. The lush colors of the changing leaves and the crisp air always motivates me to make my bedroom a cozy, inviting sanctuary for the long winter months ahead. It is also a great time to evaluate your sleep. Is your bed comfortable? Does your mattress lead to relaxation and deep sleep, or tossing and turning all night? If it is the latter, then you will want to consider the Puffy Mattress. The Puffy Bed-in-a-Box Mattress is a rather innovative idea: one mattress that is perfectly comfortable for everyone. It doesn’t matter your age, shape, or size. It is a mattress that will work, no matter what. 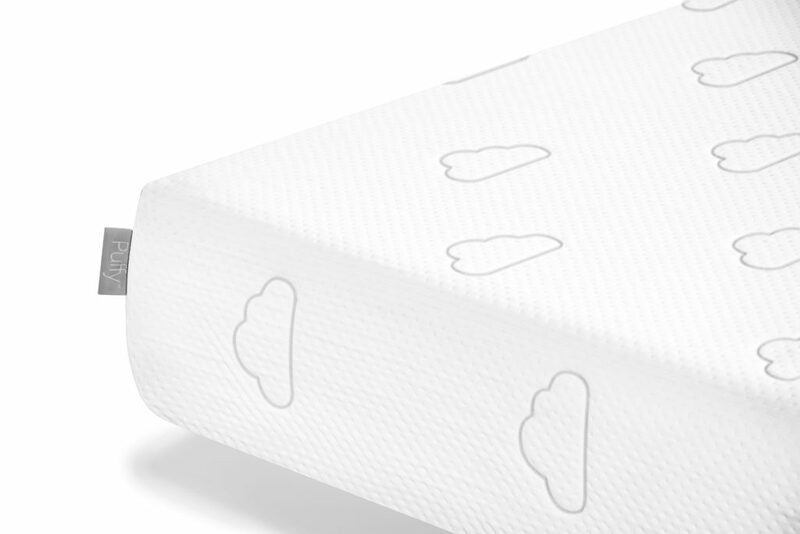 The Puffy Bed-in-a-Box Mattress has a top layer of Patent-Pending Cooling Cloud Foam. It supports every point of your body and keeps heat away from you at night, unlike most mattress foams. No more tossing and turning to find the right, supported position, and no throwing the blanket off at night due to trapped heat! The core of the mattress is Supportive Core Foam, which provides durability and solid support. A problem I have had with foam mattresses in the past is that they sag due to insufficient support. Puffy’s mattress avoids this problem due to the Supportive Core Foam. Your joints will be comfortable and your body supported through the night, regardless of what position you sleep in. Puffy Mattresses come in all six standard sizes from Twin to Calfornia King and are made to order, so you are assured that the quality is top notch. They also have a Lifetime Warranty and a 101-night home trial. If you aren’t satisfied at any time with the first 101 nights, just return it for a full refund, with Puffy arranging pickup. The Puffy Bed-in-a-Box Mattress ships free in the USA and Canada within one to five days. Style Chicks received compensation for our time and effort to present this content. However, the opinions expressed in this review are 100% ours.